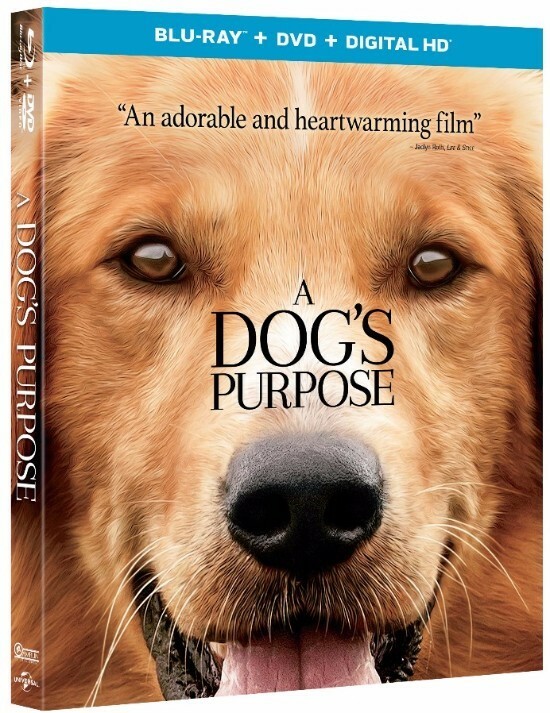 Universal City, California, March 2, 2017 – An uplifting and inspirational look at life through the eyes of man’s best friend warms hearts this spring when A Dog’s Purpose arrives on Digital HD on April 18, 2017 and on Blu-ray™ Combo Pack, DVD and On Demand on May 2, 2017, from Amblin Entertainment and Universal Pictures Home Entertainment. An empathetic and relatable drama, this sentimental film takes viewers on a powerful journey to experience the relationship between dogs and their owner – to love, protect, comfort and always find a way back home. A Dog’s Purpose on Blu-ray™, DVD and Digital HD includes deleted scenes, outtakes, a behind-the-scenes look at the making of the film, and more! Amblin Entertainment is a production label of Amblin Partners, a content creation company formed by Steven Spielberg, the former DreamWorks Studios, Participant Media, Reliance Entertainment and Entertainment One (eOne). The company develops and produces films using the Amblin Entertainment, DreamWorks Pictures and Participant banners and includes Amblin Television, a longtime leader in quality programming. The company’s first film, “Bridge of Spies,” was released to critical acclaim in October 2015. Other projects in various stages of production include: “Ghost in the Shell,” scheduled for release on March 31, 2017; “Thank You For Your Service,” scheduled for release in 2017; and “Ready Player One,” scheduled for release inMarch, 2018. Upcoming shows from Amblin TV include the 5th season of the Emmy nominated series, “The Americans” on FX and “Five Came Back” which will premiere on Netflix on March 31, 2017. Current shows include the top-rated new drama of the season, “Bull,” airing on CBS.